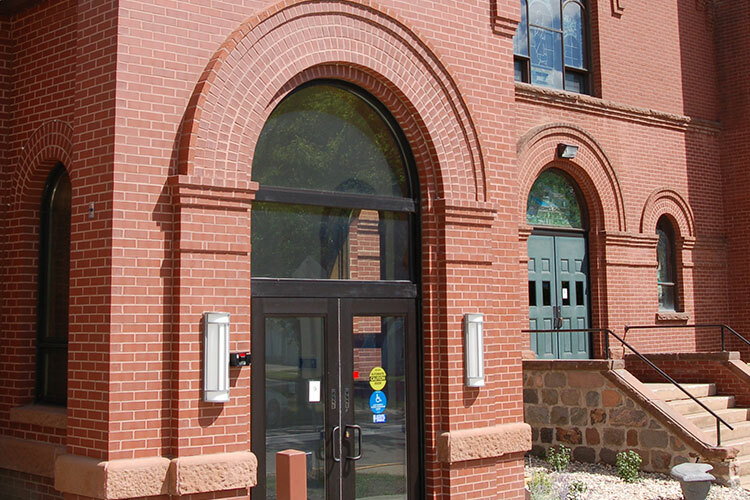 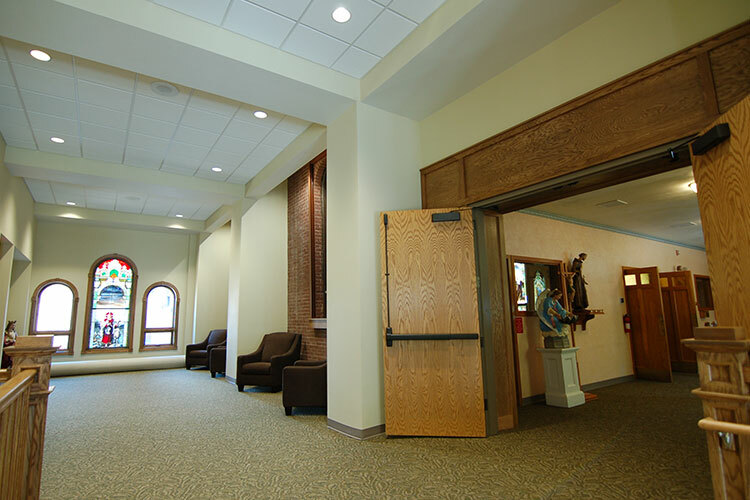 A comprehensive planning process for this mature parish led to recommendations to downsize the facility by demolition of 1910 and 1930 school buildings and phased renovation of a 1950 school, a 1970 gymnasium addition, and the original 1906 church. 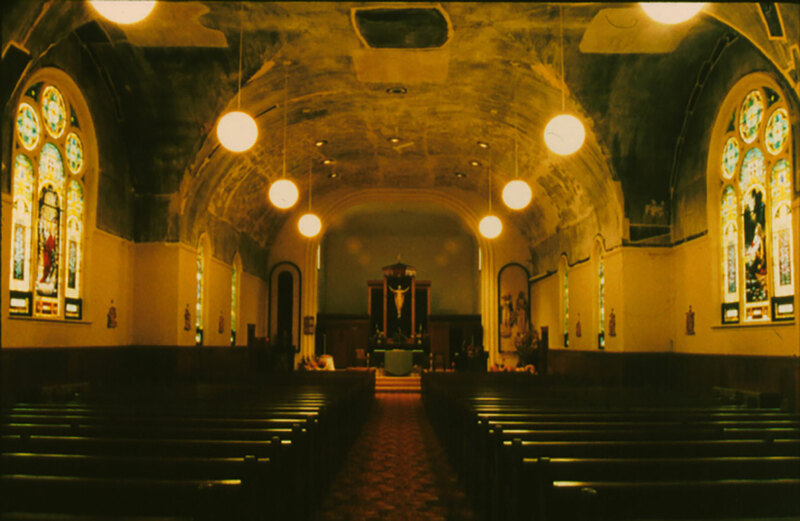 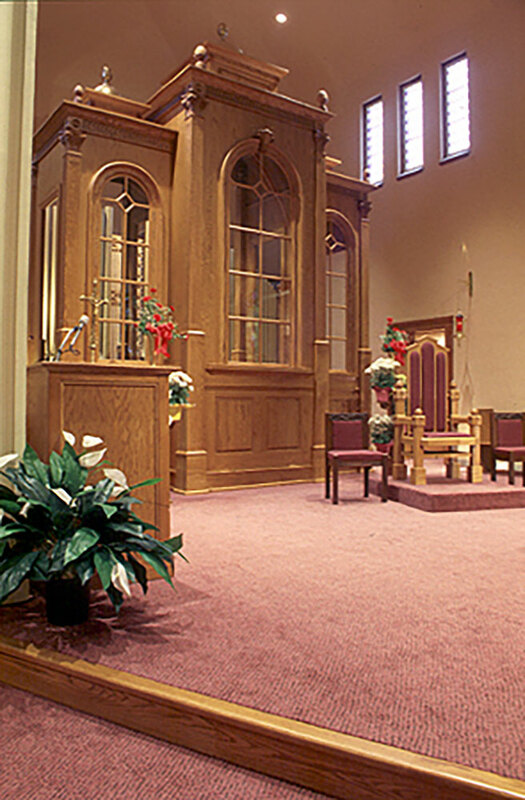 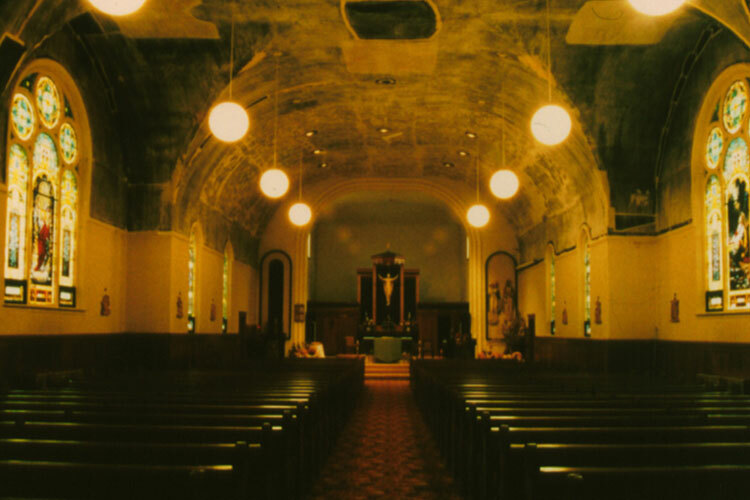 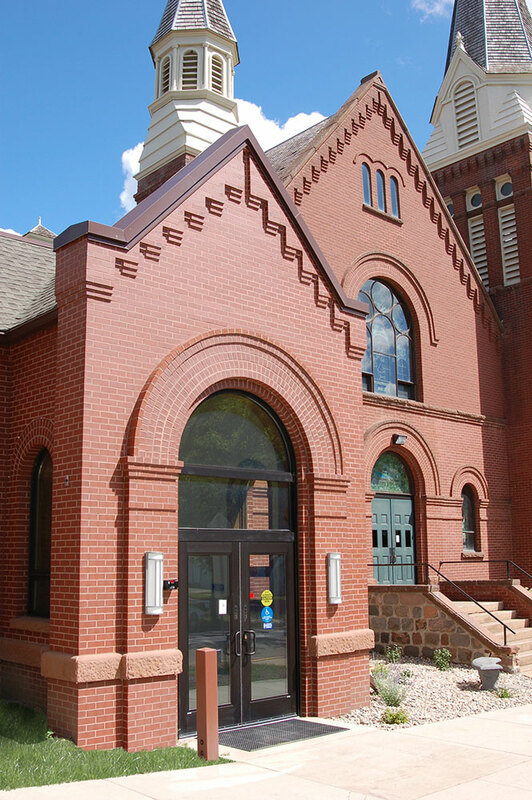 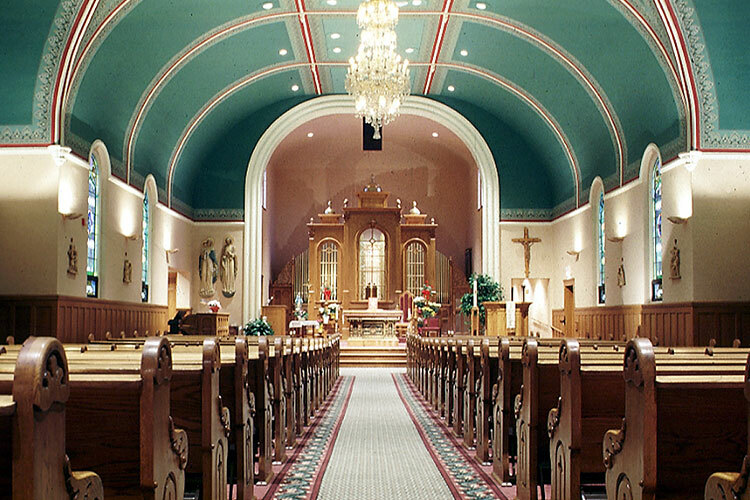 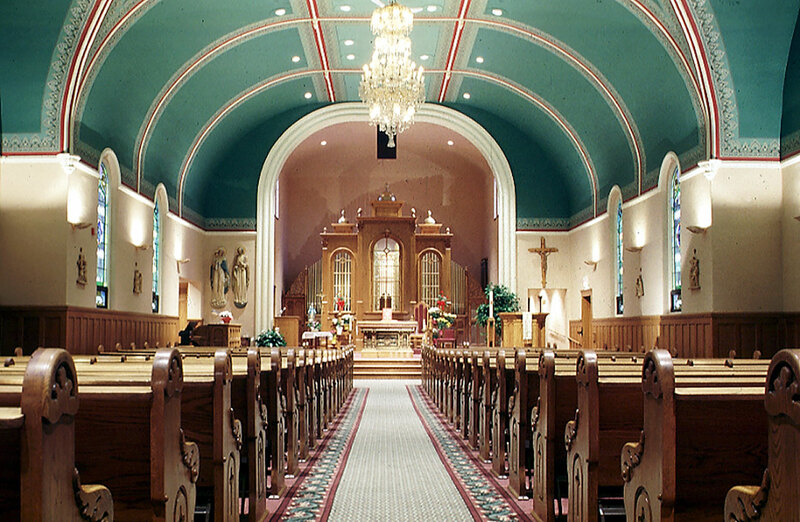 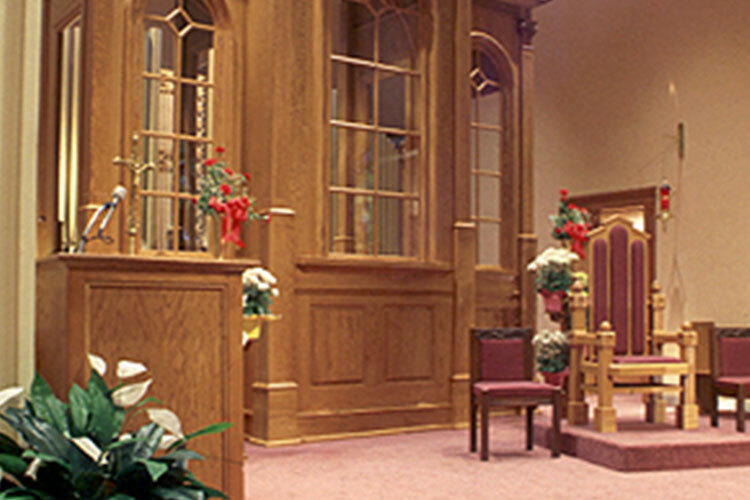 Phase I involved renovation of the historic church to update its liturgical appropriateness and repair finishes damaged during asbestos removal several years earlier. 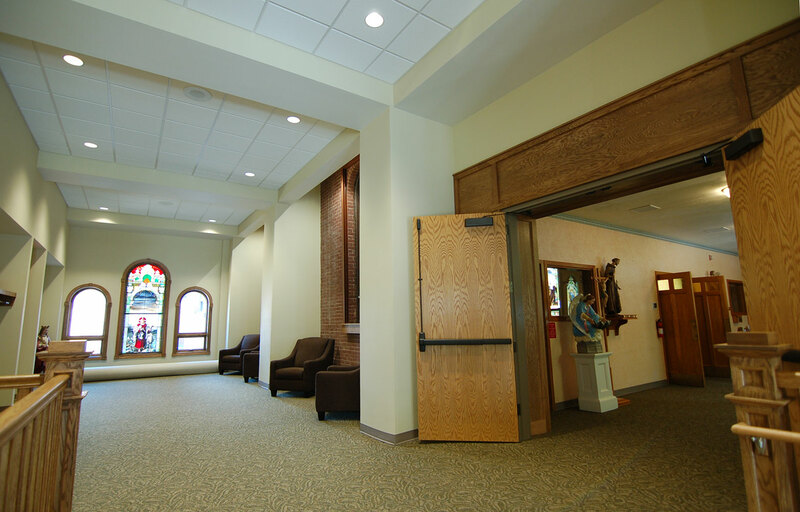 A new addition for gathering space, elevator, restrooms and meeting room was added in 2017.